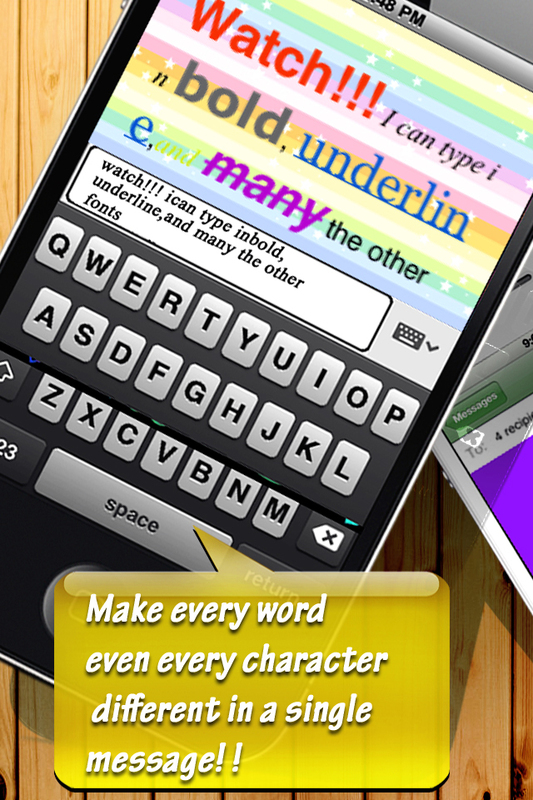 IT Is the Only App On this Store that can make every word even every character different in a single message!! 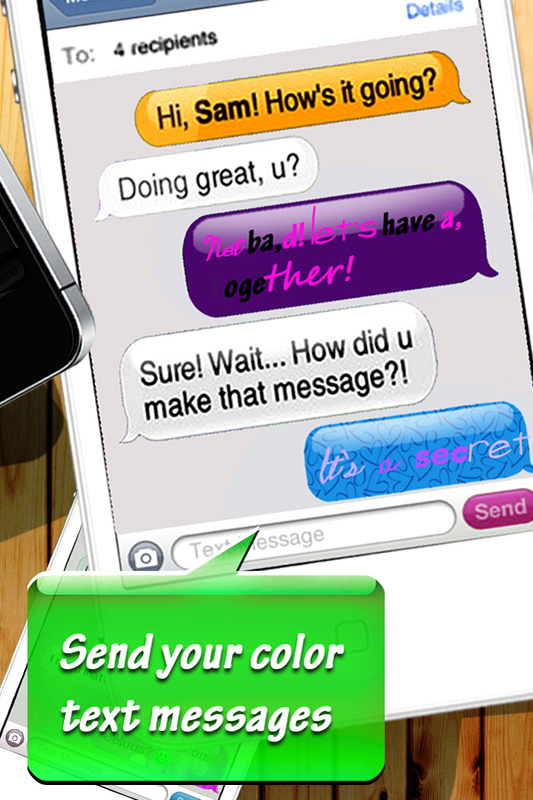 When your color text messages arrive, your friends will be impressed by this. 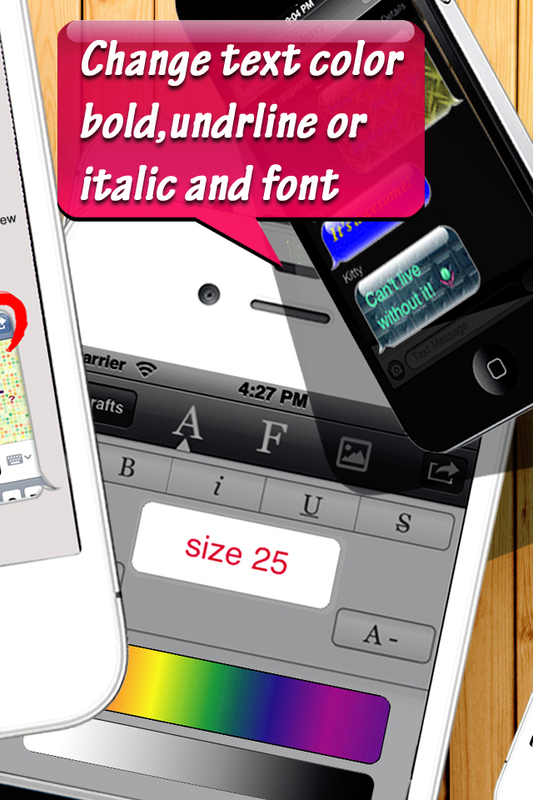 Send your own style to your friends, colleague and family! !